We can perform any level of refurbishment and here are some recent examples of our work. Contact us to find out how we can help you – whether it is a full or part refurbishment that you require we can tailor make our solutions to fit your business. Sitma machinery is known to be excellent quality and this Sitma 513 is no exception. It arrived to our warehouse having been well used by its original owner. They were now looking to upgrade and asked us to refurbish and sell their used Sitma machine. Our team set to work, dismantling all parts of the machinery, replacing parts where necessary but cleaning and servicing the majority of it. 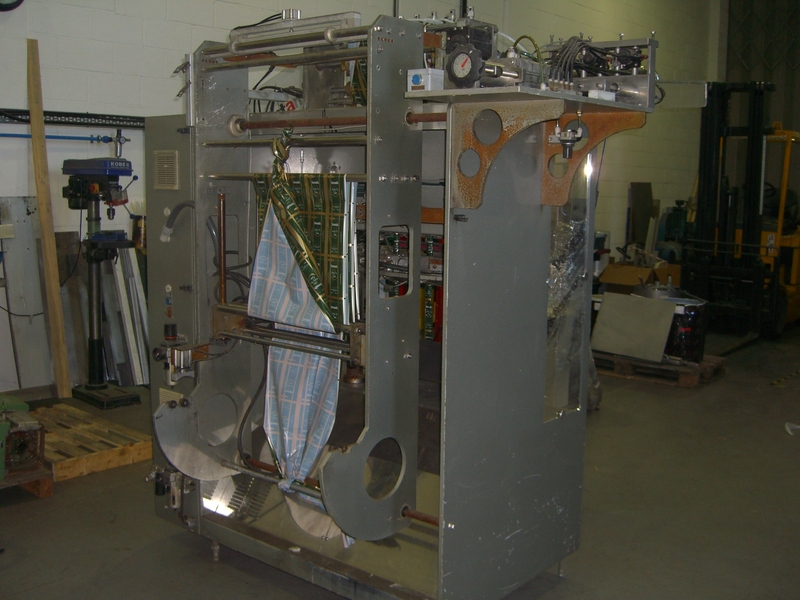 Once this was done the machine underwent a respray and was reassembled. Rigorous testing took place before the machine was dispatched to its new and delighted owner. A customer came to us with an Inever Stickpack Machine, which had been decommissioned and stored for a number of years. They were now looking to relaunch that part of their business and wanted to restore the machine back to its original condition. The Stickpack machine was in a poor state of repair when it arrived at our workshop. 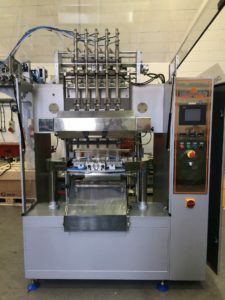 A thorough refurbishment and we now have a delighted customer, who is able to continue with their business, without having to invest in a new machine. Click on any image to see the full-size version.